MSG may be commonly used in unhealthful foods, but it's guilt by association: MSG isn't actually bad for you. I remember the day in the late 1980s when I went out for Chinese food with friends, got a headache and blamed MSG. After all, everyone knew that MSG (aka monosodium glutamate) was the culprit behind the so-called “Chinese Restaurant Syndrome.” My personal experience simply confirmed common knowledge. Flash forward 20 more years, and I’m a little taken aback when I see “No MSG” in a restaurant window. Why does this food myth persist? 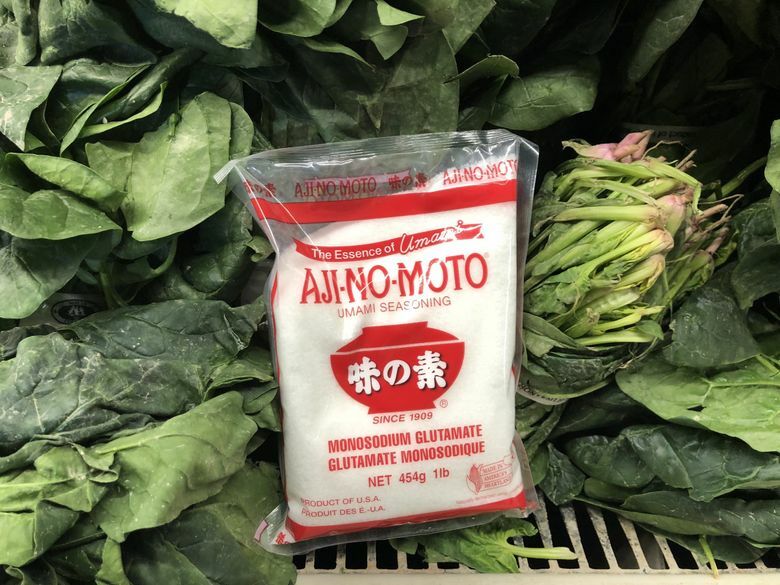 How did this combination of sodium and glutamate, found naturally in many foods — including Parmesan cheese, ripe tomatoes, seaweed, dry-aged beef and human breast milk — become a dietary devil? That question lurked in the corner of my mind for years, so when I was invited to attend the World Umami Forum in New York last month, I leapt at the opportunity. Let’s just say the conversation surrounding this controversial food ingredient was illuminating. In 1908, Japanese chemistry professor Kikunae Ikeda noticed a savory taste to certain foods — including kombu dashi, a broth made from dried kelp that’s as essential to Japanese cooking as chicken broth is to American cuisine — and named it umami. Curious, he cooked dashi down until it crystallized, and discovered that those crystals were made of glutamate and salt from the sea. Voilà … monosodium glutamate. Glutamate is one of 20 amino acids — the building blocks of protein — but it’s also an important neurotransmitter. Your body makes about 50 grams of glutamate each day, but because it’s so vital to us, most protein foods are 8 to 10 percent glutamate. The cells lining your intestine use almost all the glutamate you get from food to fuel their constant regeneration. The MSG myth started in 1968 when The New England Journal of Medicine published a letter titled “Chinese Restaurant Syndrome” written by a doctor who experienced numbness in the back of the neck, weakness and heart palpitations after eating at a Chinese restaurant. He speculated that soy sauce, cooking wine, MSG, excessive salt — or even thirst caused by that salt — might be the culprit. Despite the nonscientific nature of this letter, researchers pounced on MSG, resulting in some shoddy research that only served to perpetuate the myth. The researchers in one 1969 study started by assuming that MSG caused symptoms, which is flagrantly biased. They then administered MSG via injections and large doses on an empty stomach — not the way people consume MSG in the real world. Even worse are the numerous studies also dating back to 1969 in which juvenile rodents were injected repeatedly with doses of MSG so high that it would be the equivalent of injecting a 150-pound human with 136-545 grams of MSG. For comparison, in a single day the average American ingests half a gram of MSG (compared with 4.6 grams in Taiwan) and gets 13 grams of naturally occurring glutamate from food. Despite that, these studies were presented as proof that MSG can harm us. Unfortunately, many researchers continue to cite them and conduct new research using similarly flawed methods. So we’ve established that shooting up with MSG — or eating a huge amount on an empty stomach — are bad ideas. But when MSG is consumed with food, even in higher-than-normal doses, it has consistently been shown to be safe. When studies are correctly designed to make sure participants can’t tell the difference between MSG or a placebo, most people who think they have adverse reactions to MSG actually don’t. Accordingly, in 2018, the International Headache Society removed “MSG-induced headache” from its Classification of Headache Disorders. By “terrible food,” Lohman means food with no nutritional value. Ironic, because MSG’s original purpose was to make healthful food taste better. In fact, in 2010, the Institute of Medicine said that MSG could be a way to keep food palatable while reducing sodium. Why? MSG is 12 percent sodium and table salt is 39 percent sodium, so if you cut salt by one-third and replace it with MSG, you reduce sodium by 25 percent without compromising taste. Emerging research finds that MSG enhances food satisfaction in a way that helps people who struggle to eat enough eat more, without encouraging overeating in everyone else. A seasoning that makes food more satisfying and delicious, and facilitates eating more vegetables? Count me in.